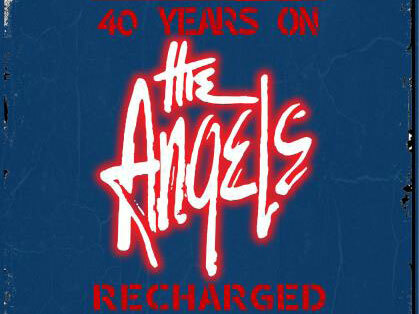 The Angels are kicking off what will be a massive 2019 with two exclusive live preview launch shows of their No Exit 40 Years On Recharged tour at The Bridge Hotel in February. With their third studio album No Exit commemorating its auspicious 40th anniversary in 2019, The Angels will be taking the album out on the road to celebrate with audiences in the best way possible, with a huge national tour to be announced shortly. To kick off the forthcoming run in proper style, the band's exclusive live preview tour launch at The Bridge will also be filmed and recorded for future release. No Exit was released in 1979 and smashed into the No. 8 chart position. It spawned classic hits such as the title track No Exit and the still beloved show-stoppers Shadow Boxer and Mr Damage, to name a few and was an apt follow-on from the band's seminal Face To Face album, demonstrating to fans that The Angels were a rock band here to stay. "The Face To Face live tour and the recording, both live and in the studio, of one of our greatest albums has been amazing for us," says John Brewster. "Rick and I believe that we have shared something special with Dave [Gleeson], Sam [Brewster] and Nick [Norton] who weren't around when we recorded the original. And, of course, those wonderful guys have shared something special with us, their take on the songs." Rick agrees and can't wait to repeat the process with No Exit. "Writing and recording and road-testing these songs 40 years ago was a long and often excruciating process, with John and me constantly arguing over arrangements to produce the best possible result," he says. "The original Face To Face took more than a year to record. The enormous difference now is that we had all the arguments back then and the process of re-recording today is so simple. Face To Face – Recharged took only two days to record. No Exit will be just as easy!" Back in 1979, No Exit was recorded under the revered Alberts label. It was a fitting follow-up to Face To Face and despite the arguments to get the sound right, it produced some great memories for the band. "I remember writing our longest lyric, Dawn Is Breaking, continuing the bleak themes of Outcast from the previous album," says Rick. "[There was] the excitement of meeting Damage backstage after a gig at the Comb & Cutter, which kept me up till dawn writing Mr Damage and Chris' wonderful bass solo in No Exit, [as well as] our first use of organ in Dawn Is Breaking and Out Of The Blue. John's and my 'panning' riff in Save Me and the feeling of confidence that after the success of Face To Face, we had succeeded in recording a fitting follow-up album." The special preview launch shows are 100 percent The Angels – there are no supports – it is just two-hours of jam-packed Angels! The first set will be the No Exit album in its entirety, followed by a second set of Angels' classics and some rarities. The Angels No Exit 2019 tour will be announced in coming weeks.